Calpis is one of the long-run Japan’s favorite beverages, and also known as Calpico in other countries. It has white color and tastes like sweet yogurt. 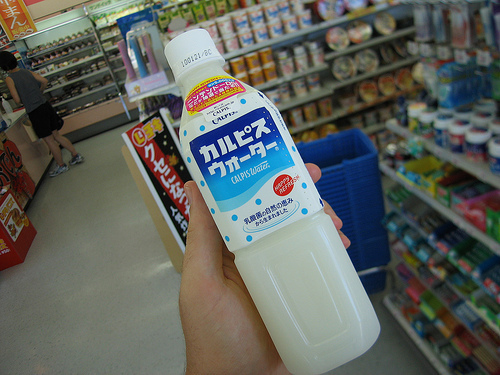 Although the drink itself is super popular in Japan, not so many people know or have had “Calpis Butter,” which is made of fat produced in the process of making Calpis. 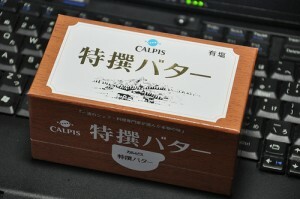 It is rare and expensive because it takes 30 bottles of Calpis to make one block of the butter. You can order it online or find at limited department stores. 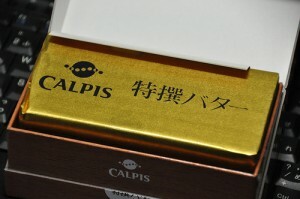 Calpis Butter is in a nice paper box. 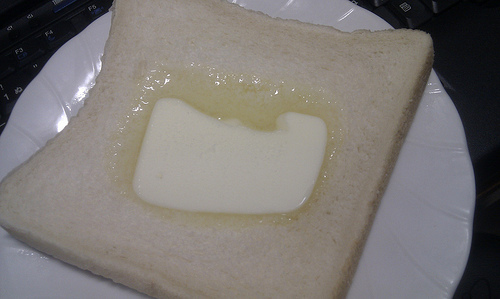 The butter is melting on a slice of bread. According to a Japanese website, Rocket News24, the writer found it at Takashimaya Department store in Shinjuku, so he bought it at 1,470 yen (US$18), and ate it with a piece of bread. “WHAT!? WHAT! WHAAAT! It’s SOOOOOO DELICIOUS! I have never had butter this good. It IS butter but tastes more like milk than butter. Very rich and milky! Not too oily and totally a new thing.” He excitingly described the taste. If you are Calpis or Calpico fan, this is something you should try in Japan. There are salted and unsalted available. Department Store with No Male Employee at All? ?